Proximity to Raley Field and downtown Sacramento. Clean rooms and friendly staff. Outstanding value! The housekeeper I had come to my room to switch out my linens was super sweet and incredibly helpful. The staff was really helpful especially there made she was really helpful also. Amazing service! The woman at the front desk was sweet, friendly, and very accommodating. The room was clean and was a great price. I come out to Sacramento for class and I will definitely stay here in the future. Reception was excellent and staff member was very helpful in providing multiple suggestions for nearby dinner options. The room it's self was very nice. Very clean. The WiFi was very fast. Didn't hear the up stairs noise.very quiet. Nice clean room. Check in was easy and the employees in the office were very nice and polite. The television was large and had many channels. The air conditioner worked very well. 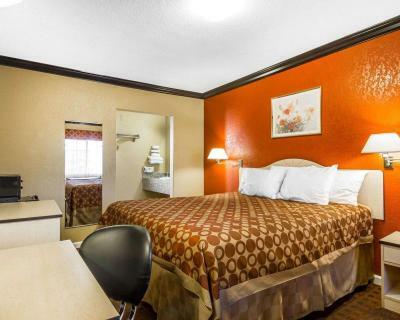 Rodeway Inn Capitol This rating is a reflection of how the property compares to the industry standard when it comes to price, facilities and services available. It's based on a self-evaluation by the property. Use this rating to help choose your stay! 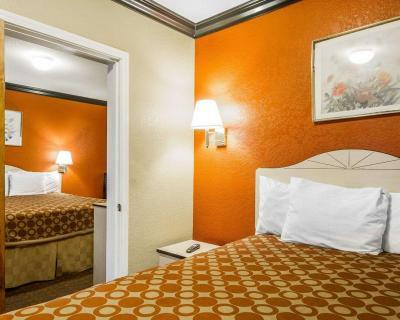 This West Sacramento, California hotel provides free Wi-Fi in the guest rooms. 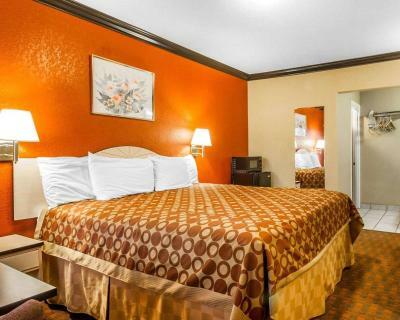 Raley Field, home of the Sacramento River Cats baseball team, is within walking distance from this pet-friendly motel. 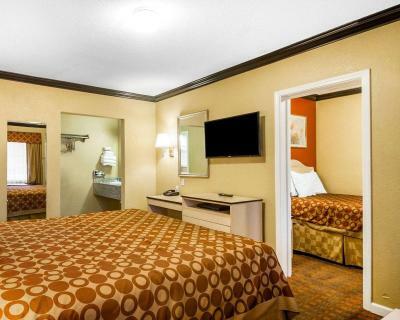 The Rodeway Inn Capitol offers guest rooms with a microwave, a refrigerator and a coffee maker. The rooms also include cable TV and a desk. The Capitol Rodeway Inn features a daily continental breakfast. 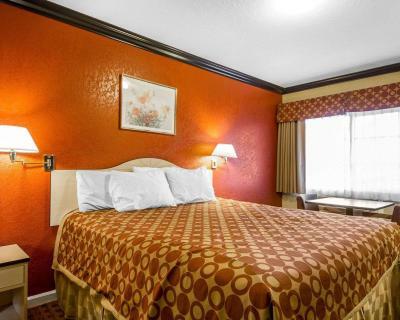 This motel offers on-site laundry facilities. The California State Railroad Museum is minutes from the Rodeway Inn Capitol. The Sacramento Zoo and the Sacramento Convention Center are a short drive from the motel. This property is also rated for the best value in West Sacramento! Guests are getting more for their money when compared to other properties in this city. 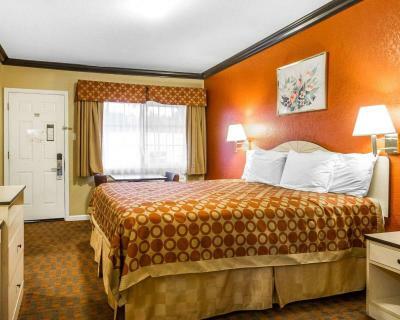 When would you like to stay at Rodeway Inn Capitol? 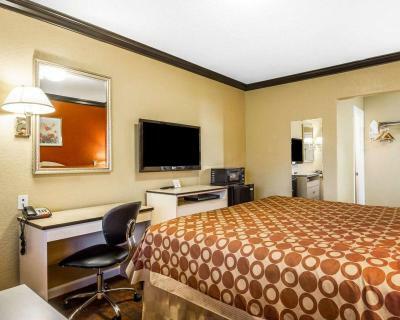 Boasting free Wi-Fi and cable TV, this air-conditioned room is equipped with a microwave. 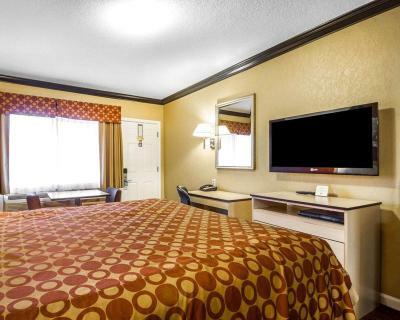 Spacious room Includes a coffee maker, free Wi-Fi, microwave, refrigerator and cable TV. Satellite TV, a work desk, and a microwave are all included. House Rules Rodeway Inn Capitol takes special requests – add in the next step! Rodeway Inn Capitol accepts these cards and reserves the right to temporarily hold an amount prior to arrival. A deposit will be charged at the time of check in. Cramped bathtub/toilet room. Continental breakfast was unimpressive. I stayed there for a road race. For some reason the man at the desk put me in a smoking room (I am not a smoker). I had no idea why or even that it was a smoking room until I walked in. It stunk!! The bath tub had cigarette stains on it and I found a nasty stain on the comforter. It looked like blood (I am a nurse). There was a car outside my room blaring rap music for 10 minutes straight. I called the front desk at that point. The housekeeper came and told me that the non-smoking rooms are so much nicer and cleaner and she was shocked he put me in there. She brought me a new non-smoking comforter, linens and a blanket. Needless to say I had to buy candles to be able to even breathe in that room. He paint in the bathroom was peeling and bugs were coming out of the drain in the bath tub. Luckily I was able to get some rest but it was a very frustrating situation. The room was so clean and comfortable. The staff was super friendly and helpful. It was so close to old Sacramento andRaley Field, about a 5 minute walk! And a very safe walking path to those areas. The WiFi signal on occasion, kept going off-line and I'd have to reconnect via my laptop compter. Timely, cleanliness of the room. The shower above us was very loud. I have nothing that I didn't like. The visitors, part no visitors rule is a little excessive. its a beautiful room and nobody really got to know it. The main thing is there rooms smell so bad with ciggeratte smell that it’s stuck to all the linen and curtains they need stronger cleaning chemical to work with.